Making the Site: Creating a design and engineering the code for your site. Hosting Setup: Giving the site a physical “home” and setting up servers to serve your site. This is the server where the site will actually be stored. Domain Management: Registering your website’s name and configuring it so that the world and your customers can view your site. This also includes periodic renewals of your website’s name. All three of these items need to be present, configured correctly, and constantly running for your website to be at its most productive. When they are not, your site would not work correctly, if at all, costing you lost time and revenue. 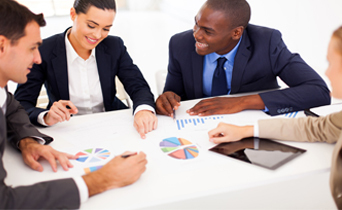 Elliottsweb Web Design would like to present the Total Site Management package. This includes our classic web design and hosting package, along with the peace of mind of domain management. For more information, Request a Quote online today! Why do I need Domain Management? Complete, One-Stop-Shopping for your all of your website needs. Normally when someone tries to get a website, they have to deal with three separate companies specializing in the three necessary parts: Creation, Hosting, and Domains. Rarely these companies easily or quickly interface with one another, resulting in delays and problems that prevent your site from becoming the best that it can be. When your company uses Elliottsweb’s Total Site Management package, these three areas will all be managed by specialists at Elliottsweb’s office in Chicago. 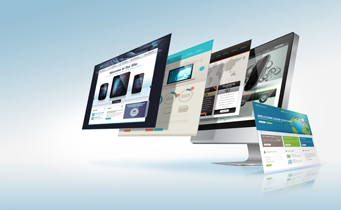 This results in one company for your website work, with fast, dependable results. Never again will you have to worry about making sure that your domain’s registration or your site’s hosting contract are current. Many times these contracts can be confusing, or even misleading. 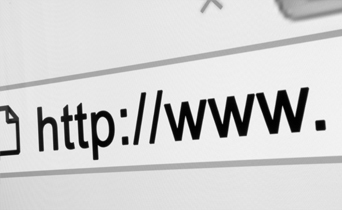 Elliottsweb will automatically ensure your domain is registered for the life of your website. We can change or add more domain names, add email addresses, and update your site, all with one easy phone call! For more information, please Request a Quote. Many times in the internet world, you hear support excuses like, “That’s a domain registrar (or hosting provider, or design company) problem, so we can’t help you here.” Excuses like this can cause hours, or even days, of delays. Delays in support could cost your business lost time and revenue. With Elliottsweb’s Total Site Management, you’ll always have the right support and updates personnel at your fingertips to eliminate these sorts of headaches. With all of our design, updates, and support specialists working in the same office, our work on your site is as efficient as possible. As one of the nation’s leading website development companies, we have built years of good rapport with our domain name registrars. What this means to you is that our enterprise-grade support from our registrars gets passed along to you, our client, in the form of lightning-fast support and updates. Request a Quote for more information today. Customers that use Elliottsweb’s Total Site Management package have their sites out of post-production and live between 2 hours and 2 weeks faster than customers that manage their own services. Faster push-live times means the faster your site is up on the internet making you money. This saved time comes from one company handling your domain, hosting, and design needs. Total Site Management also helps to speed up our Search Engine Optimization, which could result in better search engine rankings in less time. With Elliottsweb’s Total Site Management, you will have one dedicated company for all of your website’s needs without the delays and headaches of doing it yourself. We will obtain your domain, configure it correctly, update as needed, and keep the contract renewed. We will host your site on our servers where we can backup, service, and update it regularly. We will design and engineer your site exactly to your specifications and can ensure that it gets seen in the world of search engines. For more information on Domain Name Registration, please Request a Quote. Total Site Management: Only The Best For Our Customers, by Elliottsweb Web Design.